South Africa remains very much a divided country. In the townships, the legacy of apartheid, forced relocation to the outskirts of town and social exclusion is still tangible and affects children’s chances in life. The HIV/AIDS pandemic has aggravated the situation for the poor in Mamelodi. Mamelodi is a township located on the north-eastern outskirts of South Africa’s de facto capital, Pretoria. Until the fall of apartheid in 1994, Mamelodi was a blacks-only area and it remains predominantly so to this day. Mamelodi’s population has been steadily expanding, mainly due to the influx of rural migrants; roughly 1.5 million people live here now. Although there are small brick houses, the majority of people live in informal settlements, in tiny makeshift shacks made from corrugated iron and plastic. Despite government efforts to improve living conditions in Mamelodi, for example by providing small grants for people to build more permanent houses, the area is so overcrowded and the demand for housing is so great that it has been impossible to keep up. Life in Mamelodi remains marked by high levels of poverty and social exclusion. Schools are understaffed and underfunded and often lack books and teaching materials. There is no running water in people’s homes; instead, many families share one public faucet. Garbage collection and electricity are also non-existent in the informal settlements. In addition to the already existing hardship, exclusion from services and opportunity, and mass unemployment, Mamelodi, like all of South Africa, has been severely affected by the raging HIV/AIDS epidemic. As a result, many children are now living with a chronically-ill parent who is no longer able to give them the care and attention they need, and many children have lost one or both parents. In such cases, the oldest sibling often ends up heading the household, caring for their younger brothers and sisters. In some cases, grandparents take care of the children, but even putting enough food on the table is often an incredible challenge for them. In addition, some children are left to fend for themselves because their parents have moved to another city in search of employment. Because early childhood is such an important and formative time, deprivation during these years can have an enormous impact on the course of a child’s future. SOS Children’s Villages strives to ensure the health, education and safety of children in Mamelodi so that they can break the cycle of poverty and grow up to be confident, successful adults. 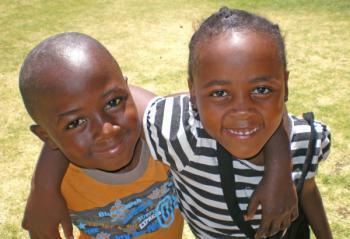 SOS Children’s Villages began its work in Mamelodi in 1987. 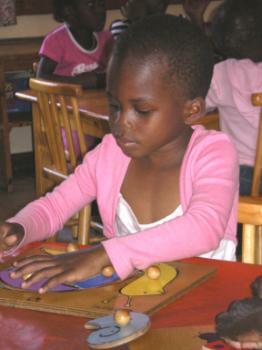 Today, our SOS Social Centre provides a community-based programme for child care and support to the local population. We ensure that children have access to education and health care. Our support goes out especially to those members of the community who have been affected by HIV/AIDS, and we also organise HIV/AIDS awareness and prevention campaigns. In addition, we assist struggling families by providing material support, for example by paying for children’s school fees and uniforms. To enable parents to become self-sufficient in the long-term, we offer training courses in a range of subjects such as IT and dressmaking. Up to 2,000 people receive training at the social centre. We also offer counselling and psychological support, and we give parents guidance on income-generating skills. The aim of all our activities is to maintain family stability so that parents can provide a loving home for their children. For children in the region who are no longer able to live with their parents, 15 SOS families in Mamelodi can provide a loving home for up to 150 children. In each family, the children live with their brothers and sisters, affectionately cared for by their SOS mother. The children attend the SOS Kindergarten together with children from the neighbourhood, which ensures that they are integrated into the local community from a young age. When young people who grew up in one of the SOS families feel ready to move out of home in order to study, receive training or work, the SOS Youth Programme continues to support them as they make the transition into independent adulthood. Of course the young people also maintain close contact with their SOS mother and siblings.